Businesses for Sale in Alabama, Mississippi and Louisiana including Mobile, Fairhope, Gulf Shores, Biloxi, Hattiesburg, Baton Rouge and New Orleans. William "Will" Bruce is an Accredited Business Intermediary (ABI) and Senior Valuation Analyst (SVA) who works nationally with business buyers and sellers. He has been providing business transitional services for three decades. He currently serves as president of the American Business Brokers Association. For questions about business valuation, sales or acquisitions, please call him at (251) 990-5934 or email him by clicking here. William Bruce offers over 20 profitable businesses for sale or merger. His speciality is profitable, privately held businesses with annual revenues up to approximately $25 million. 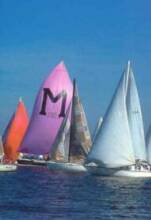 To browse all available offerings, please click here. For detailed biographical information, please visit the LinkedIn profile of William Bruce. To review his discussion of the issues involved in buying or selling a business, please visit the William Bruce Discussion. William Bruce is available nationally for consultation on business valuation and the issues involved in a transfer of business ownership. For complete contact information, please click contact William Bruce. 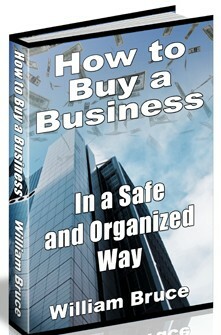 "How to Buy a Business in a Safe & Organized Way" written by William Bruce. Email us to request your complimentary copy of this 62-page booklet.